Gaze at the architectural magnificence of the Temple Mount / Al Haram Ash Sharif, feel the spiritual power of the Western Wall and weave between mounds of fresh produce and cafes at Mahane Yehuda Market – all with your trusted travel companion. Get to the heart of Jerusalem & Tel Aviv and begin your journey now! 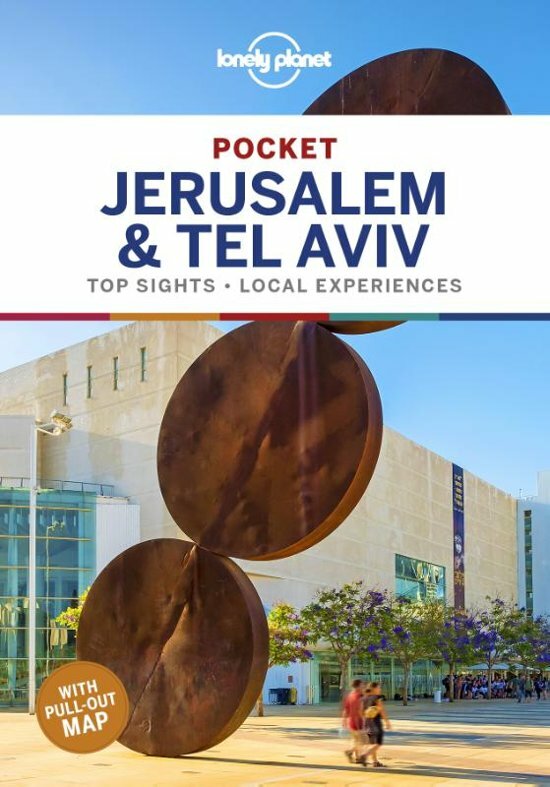 Coverage Includes: Jerusalem's Old City, East Jerusalem, Downtown Jerusalem, Givat Ram & Museum Row, Tel Aviv's City Centre, South City Centre, Neve Tzedek, Jaffa (Yafo), and more. Handige gids als je naar deze twee steden gaat - maar bevat praktisch geen informatie over gebieden buiten de steden. Compact en overzichtelijk, past in je broekzak!